Might the iWatch actually be called the iTime? 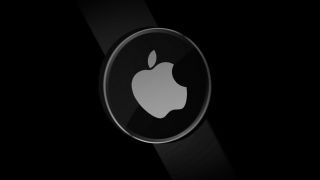 The net might be abuzz with iWatch rumours, but really we know very little about it, so little in fact that it would perhaps be premature to say that it's even a thing that exists (but we're pretty sure it does). However a patent uncovered by AppleInsider certainly adds credence to the rumours, proving that Apple has been looking into the idea for quite a while. The patent, originally filed in 2011 and granted today, details an 'iTime' device which is essentially a smartwatch. It features a removable display which can be attached to a strap with built in circuitry and sensors, potentially including accelerometers, GPS modules, Bluetooth, NFC and more. Previous rumours mention that the iWatch might include an array of sensors, so this lines up. The watch itself could be used to create a "personal wireless environment", wherein it can connect with other nearby devices like your iPhone or your computer and information can then be exchanged between them. For example if you get a call on your iPhone you might get an alert on your watch. The watch could also be used to directly control things. For example, the patent mentions media player controls. Other ideas highlighted in the patent include the fact that the watch could warn a user when their iPhone is out of range, in case it's been left behind or stolen. Finally it mentions gesture controls which can be assigned to perform certain functions, for example shaking your wrist to answer a call. Most of the above is in line with what current smartwatches are doing, but more importantly it may point towards what we'll see in the iWatch if and when it ever arrives. The iWatch might have wireless charging and a round face.